Co-chairs: Karen Gorlewski & Brandie Ingalls – HOO-RAY!!!!! Committee Members: Laura Laws, Lila Ziolkowski, Danielle Van Hook, Christa Kennedy, Toni Holian, Mariah Conley, Katie Sullivan, Wendy Kennedy, Stephanie Phelps, Toni Sturpe, Lori Spencer, Lynn Mowery, Michael Patti, and Sandy Dannenfelser. THANK YOU!!! To everyone who sponsored as a Knight or a Squire – THANK YOU SO MUCH!!! A SPECIAL THANKS to: Michael Patti for the slide presentation, Toni Holian and Josie Korb for the desserts, and all of our wonderful teachers for working the event. I would also like to give a great big thank you to anyone who donated to the silent auctions or helped set up the event and any other volunteers that helped. THANK YOU, THANK YOU, THANK YOU!!! 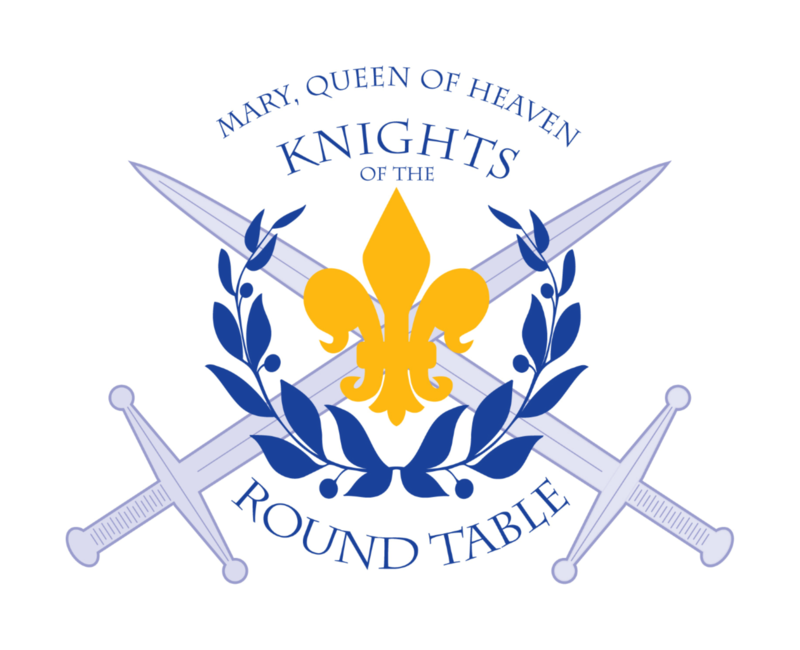 J Only 358 more days until the next Knights of the Round Table!!!! On All Souls Day (November 2) we prayed for all of the Holy Souls in purgatory – but our prayers for them aren’t limited to just that one day. The entire month of November is always dedicated to the Holy Souls in purgatory. The Church commemorates all her faithful who have departed from this life but have not yet attained the joys of heaven. We should pray for the dead throughout the year, especially on the anniversary of their death, but every November we should devote some time every day to pray for the dead. Obviously we should pray for family members who have passed on, but we should also pray for all of the souls in purgatory, especially those that have no one to pray for them. There is a book on a stand in the vestibule area where you can write the names of people who have passed on that you would like to be prayed for. Those souls will be remembered periodically in our daily Mass intentions throughout this month. If you haven’t filled out your Offertory Commitment envelope yet, please do so this week and drop it in the collection basket at next weekend’s Mass. If you need an envelope, they are in the pews and on the tables in the Narthex. Thank you for your continued support of our parish!!! The Feast of Christ the King is next weekend and the weekend after that is………ADVENT!!! You know what that means….Christmas isn’t far off!!! In case you haven’t noticed, we’re in the process of putting a baseball field in our back lot. It should be finished in a few weeks – then all of our youngsters will have a place to hone their baseball skills so they can….hopefully….eventually….one day become Cincinnati Reds!!! A Big Thank You to our Athletic Department for funding the field. Also, a Big Shout-Out of Thanks to parishioners John Helmle and Tim Ryan – they’re handling the construction of the field. I may have to dig around in the basement and find my baseball glove! !